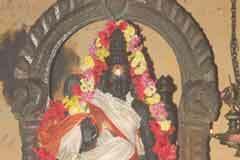 12 day wedding festival in Chithirai (April-May) and 10 day Margazhi Tiruvadhirai in December-January are the festivals celebrated in the temple. The presiding deity is a Swayambulinga from the Ilandhai tree here. 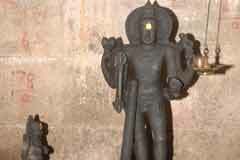 The Emerald Nataraja Idol in the temple is the rare one not to be seen in any other temple. 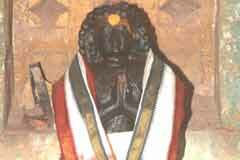 Sage Manickavasagar graces in the temple in the form of a Linga. This is the only temple where Thazhamboo ( a fragrant flower) is permitted for the deity dressing while it is banned in other Shiva temples. The temple is open from 6.00 a.m. to 11.00 a.m. and 4.00 p.m. to 8.00 p.m. 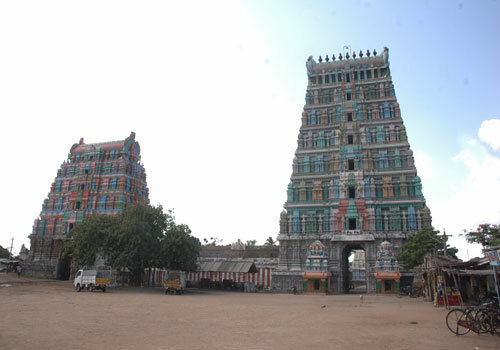 The famous pilgrim centre Rameswaram is just 83 km from this place. Mother Mangaleswari helps removal of obstacles in marriage alliance efforts. Worshipping the God and Goddess in the morning will remove the sins brought from the previous birth, praying in the afternoon removes sins of the present birth while worshipping the Lord and the mother in the evening grants the devotee longevity, progress in profession and profitability. Devotees offer abishek and Vastras (clothing) to the God and Goddess. Generally, people visit a temple, worship once and turn back. This is a temple where people worship thrice a day and gain more benefits. 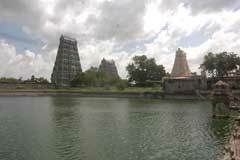 This is one such temple in Utharakosamangai in Ramanathapuram district. This is the only temple where an Emerald Nataraja idol is available for darshan of the devotees. 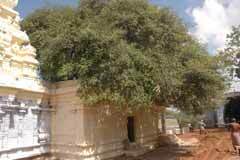 Also this is the only temple where the fragrant flower Thazhamboo is permitted for worship whereas the flower is forbidden for use in worship in other Shiva temples as this flower gave false evidence in favour of Brhamma as if he found the head of Lord Shiva. Brahmma also got relieved from the curse by worshipping the Lord from this temple. 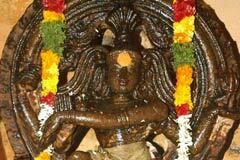 The Lord is a swayambumurthi appearing from the Ilandha tree which still exists in the temple. 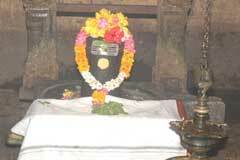 The antiquity of Sri Mangalanathar-Mangaleswari temple dates far back. Mandodhari (wife of Ravana) was very adamant that she would marry only a Shiva devotee and did not mind waiting for the choice. She prayed to Lord Shiva. Lord Shiva, asked the sages in the Ashrams to take care of one of the Veda Script (Agamas) as He was going to grace Mandodhar and told them that He would take back from them then on His turning back. The Lord appeared before Mandodhari as a child. Ravana who came there touched the child knowing It was Lord Shiva. Lord tested Ravana by changing Himself as fire. All the places in the world were caught in the fire. The sages, unable to protect the book given by the Lord fell in the fire tank nearby (Agni theertham) and died. But sage Manickavasagar courageously withstood the fire and saved the scripture. The Lord graced Mandodhari’s wish and helped her wedding with Ravana. 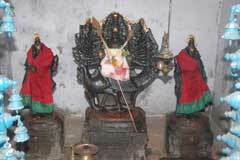 The Lord graced Manickavasagar granting His Linga form. 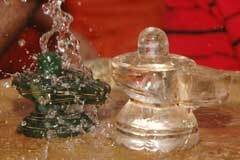 The sage is still in the temple in the Linga form. The Lord is a Swayambu Linga appearing from the Ilandha tree. This is the only temple having a Nataraja idol made of Emerald. Place: Utharakosamangai is 18 km from Ramanathauram. Rajarajeswari Tower; +91-4567-232 232, mobile 99438 69265; Charges from Rs. 600 to Rs. 1800.